Photo: Neal Douglass. Courtesy Austin History Center via University of North Texas Libraries, The Portal to Texas History. 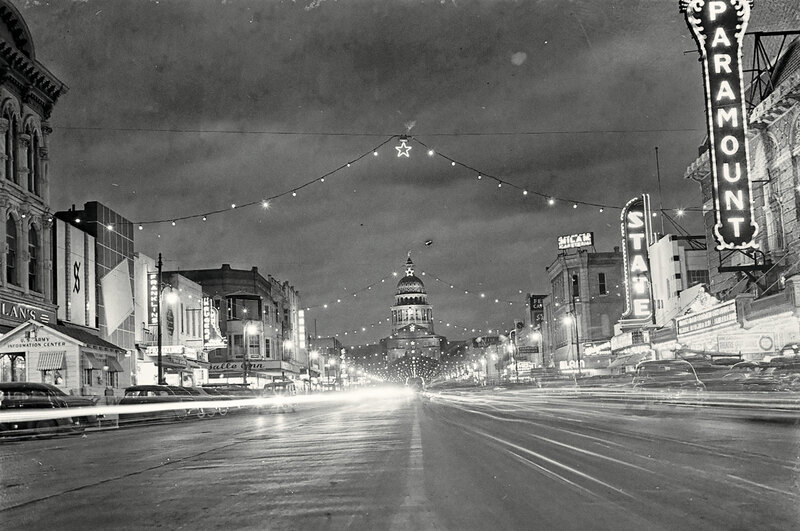 Austin had a population of about 115,000 when photographer Neal Douglass took this picture of Congress Avenue looking north to the Texas State Capitol on New Year’s Day 1947. The streetscape has changed over the past 71 years, and Austin has grown 10-fold to about 1 million people. But the electric Paramount Theatre sign, which was replaced in 2015, and the State Capitol building, which was completed in 1888, still anchor the storied strip.